This stunning applique includes an ensemble of three different sized stars each with its own unique trail of heavenly stardust and secondary stars. They come on one sheet that can be cut and they can be placed as needed on the same item or use as three separate designs! The largest star alone (left) uses over 150 closely packed stones and studs! Trails of stardust are rendered in varying sizes of gold and silver rhinestuds. 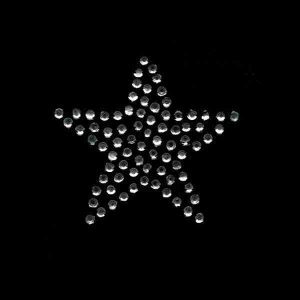 Smaller stars within stars dazzle the eye as well as balance the design. 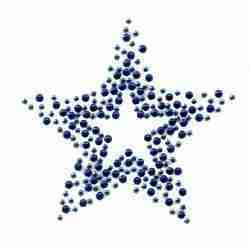 The middle star (upper right) is also dotted with smaller stars of gold and silver and is lavishly surrounded by rhinestone ‘stardust’. 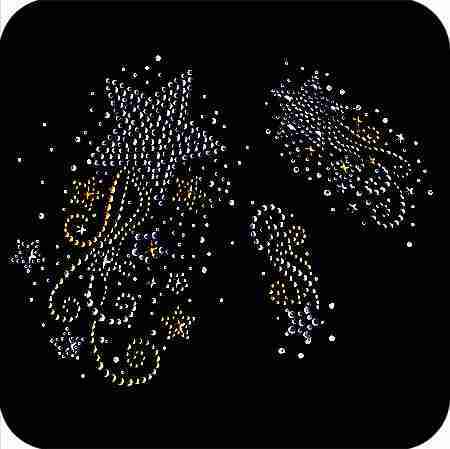 The third star (lower right) is smallest in size only, as its makeup of different sized clear rhinestones makes it the most luminous. Stars may be arranged independently at any angle to best suit your design. 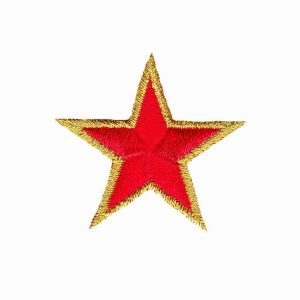 This applique is positively stellar! 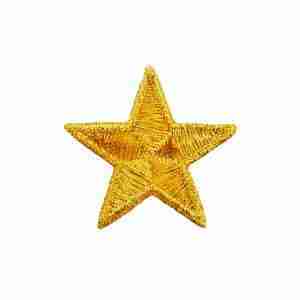 Large Star measures 5″W X 6-3/4″H (as shown). 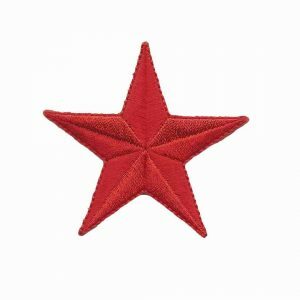 Middle Star measures 3-3/4″W X 3-1/4″H (as shown). 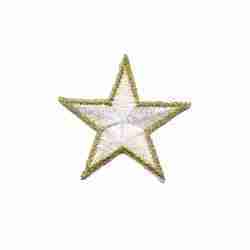 Small Star measures 1-1/2″W X 3-3/8″H (as shown).